Hurricanes like Katrina and Sandy are categorized as natural disasters, yet the disparate impacts of these catastrophic events on vulnerable populations suggest that social disasters may be a more accurate descriptor. Rebecca Rasch investigates the interplay between natural disasters and social structures in Brazil. Hurricanes like Katrina and Sandy are categorized as natural disasters, yet the disparate impacts of these catastrophic events on vulnerable populations suggest that social disasters may be a more accurate descriptor: high levels of income inequality can lead to unequal distribution of resources and protections and can increase the vulnerability of exposed populations. This photo essay investigates the interplay between natural disasters and social structures in Brazil. I visited four urban municipalities across four states in Brazil, with varying levels of median income, absolute poverty and income inequality (as measured by the Gini index). I list the Gini index, the percentage of the population in absolute poverty and median monthly income in each municipality to provide context, and to address the most common critique of arguments that address the malign impacts of high levels of income inequality. Absolute poverty and income levels alone cannot fully explain the variability in vulnerability to flooding observed across municipalities. Rather, these photographs illustrate how high levels of income inequality (not simply lower incomes or/and higher absolute poverty rates), lead to spatial segregation, uneven resource access, and heightened vulnerability to flooding in urban municipalities across Brazil. Given that flood hazards are expected to increase in frequency and severity, inequality will amplify vulnerability to flood hazards. Rio de Janeiro is one of the most unequal municipalities in Brazil. High levels of income inequality lead to spatial segregation as high-income households drive up prices, pushing lower and middle-income households to settle in peripheral locations with inferior access to services. Spatial segregation is common, with many informal settlements located on steep slopes prone to landslides and in low lying areas at risk of flooding. The Rochina favela is one such area. Elite influence on public resource allocation is often referred to as “opting out”: Public funds are directed away from services that are not used by local elites. For example, affluent communities in Brazil often have their own drainage and sewage systems and have no interest in investing in the maintenance of public infrastructure. 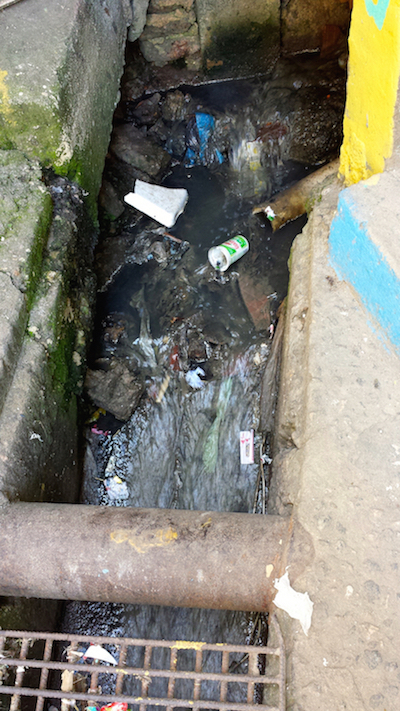 As a result, the sewage system in neighboring favelas is often in disrepair for lack of funds. 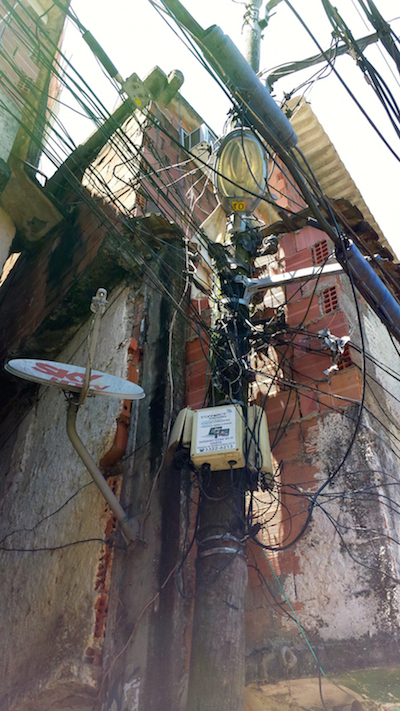 This is both a public health concern and increases the risk of flooding: open sewers are unsuitable to drain water from the narrow corridors of the Rochina favela. The electricity infrastructure is also dangerous: exposed wires and overloaded transformers are unable to cope with strong winds and downpours common during the rainy season. 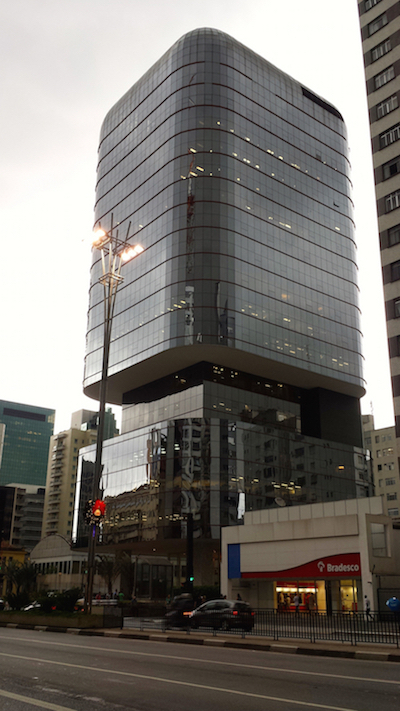 The influence of elites over public resource distribution in Brazil is well known. Although strides have been made towards more democratic rule, patronage is still widespread, public/private partnerships are often developed in obscurity, and bribery of government officials is common practice. Instead of directing public resources toward revamping infrastructure in the favelas, political officials have recently funneled public funds toward development of facilities like this swimming pool next to the Rochina favela. Spatial demographers have pointed out that informal settlements in the Global South are often located in flood plains, where land is less valuable. 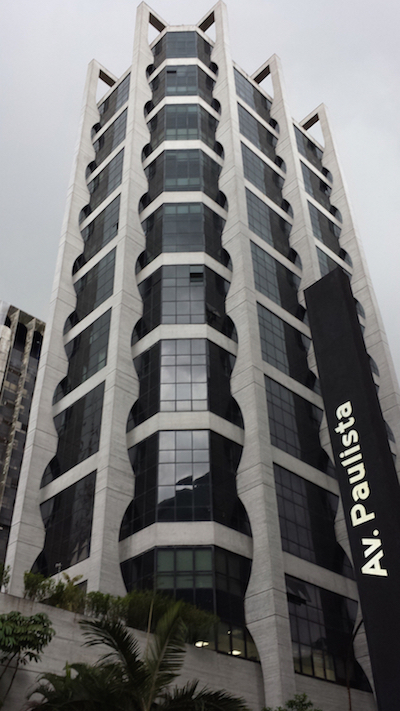 One example of this can be seen in Sao Paulo, the largest municipality is Brazil. The city is subject to severe inland floods. Heavy precipitation causes rivers to rise, and poor drainage often leads to the pooling of water in low-lying areas of the city. The consequences are borne by the city’s poor, as high-income residents tend to live in modern buildings that are safe from rising flood waters. By contrast, low-income residents are forced to settle in informal locations, many of which are in low-lying areas. Valença is a low lying, mid-sized city along the river delta, only a few kilometers up river from the Atlantic Ocean. Given the proximity to the coast and the river, Valença is at risk of flooding from coastal storm surges and inland flooding. Although almost 24 percent of residents fall below the absolute poverty line, income inequality in the municipality is moderate. 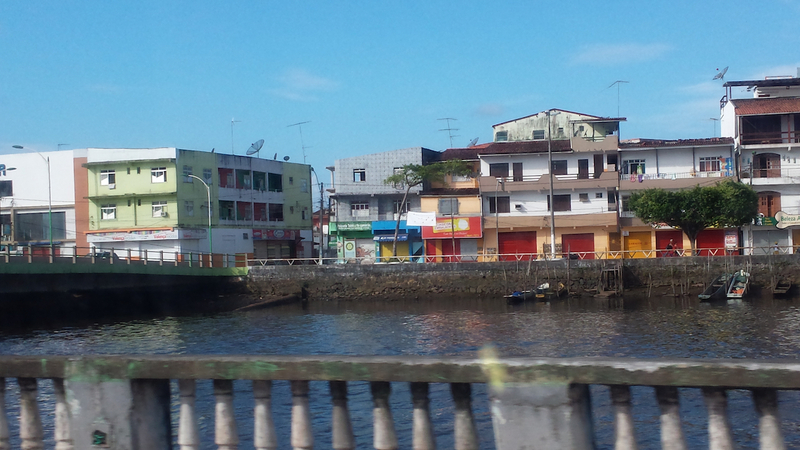 Valença has limited spatial segregation and no informal settlements or slums. Even lower-income residents who live along the riverside (above) are protected from rising river levels. Indeed, lower income housing is well-constructed and located on higher ground, safe from rising river levels. 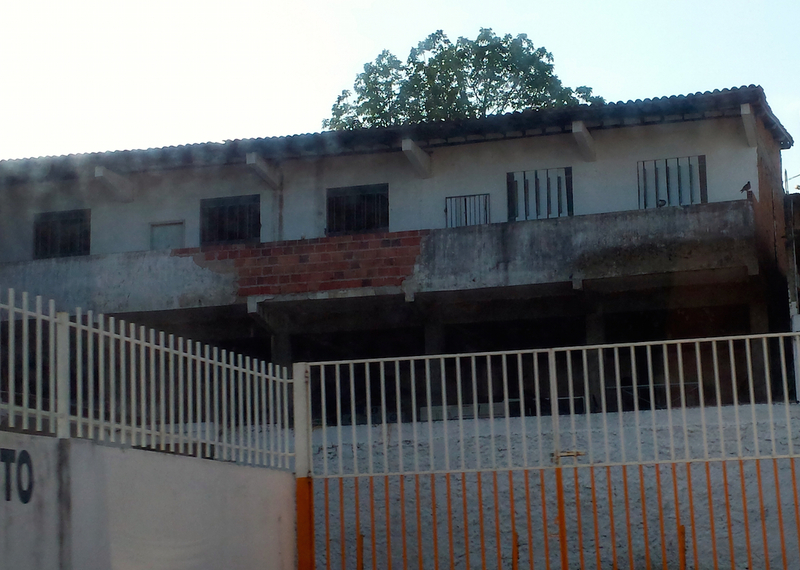 Unlike in Rio de Janeiro or Salvador, low-income Valença residents are not relegated to flood plains or steep slopes. 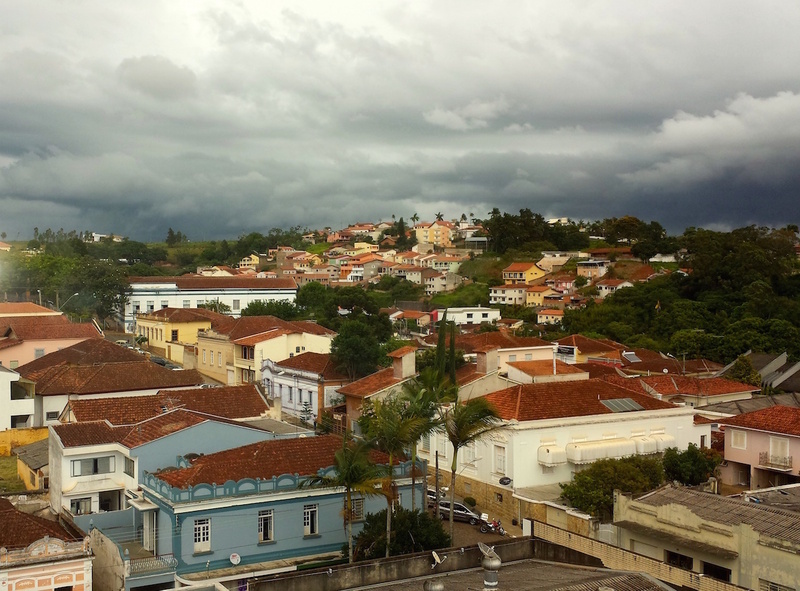 The small city of Ouro Fino, located away from the coast, is exposed to inland flooding and landslides. But while its median income is only 66 percent that of Sao Paulo’s, there are no slums or informal settlements. Lower levels of income inequality may explain the lack of spatial segregation, apparent in the aerial view of the city. In the absence of spatial segregation, residents across the income distribution enjoy the same level of infrastructure, and thus, a uniformly low level of vulnerability to flooding. There is a clear need to identify the underlying causes of vulnerability in order to create smart adaptation policies. High levels of income inequality appear to trigger both spatial segregation and elite influence on public resource allocation, leading to unequal distribution of resources and protections, and heightened vulnerability to climate shocks. Poverty alleviation strategies such as cash transfers, that tacitly encourage informal settlement dwellers to remain in unsafe locations, do little to protect these informal settlement dwellers from flood hazard. 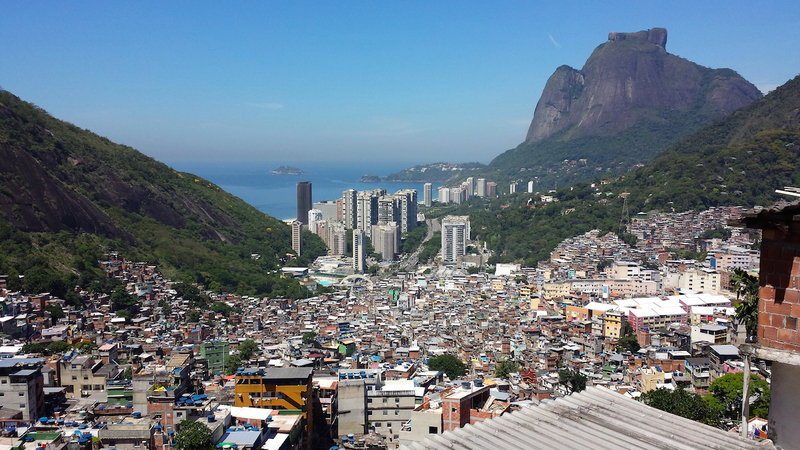 In contrast, comprehensive relocation strategies, which provide informal settlers with affordable housing options, either through housing vouchers, or public housing projects in higher-income neighborhoods, away from steep slopes and flood plains, will be far more effective at increasing the adaptive capacity of the Brazil’s most vulnerable, urban populations. Policies focused on moderating elite power and influence on public resource allocation are more difficult to identify and implement. Participatory budgeting initiatives are promising avenues for more efficient and equitable adaptation resource distribution, though researchers caution that the lowest-income residents are still often excluded from the process. I urge climate change adaptation policy makers to seriously consider the income distribution and acknowledge that in areas with significant income inequality, situations of spatial segregation and uneven resource access will likely need to be addressed, alongside issues of absolute poverty, in order to increase the adaptive capacity of urban municipalities in rapidly urbanizing middle-income countries. Rebecca Rasch is a Presidential Management Fellow and Regional Social Scientist for the US Forest Service. Rebecca holds a B.A. from Wesleyan University, an M.B.A. from the University of Virginia, and a Ph.D. in Sociology and Certificate in Demography from the Graduate Center at the City University of New York. Rebecca’s dissertation research explored the relationship between income inequality and vulnerability to climate change using advanced spatial statistical analysis.